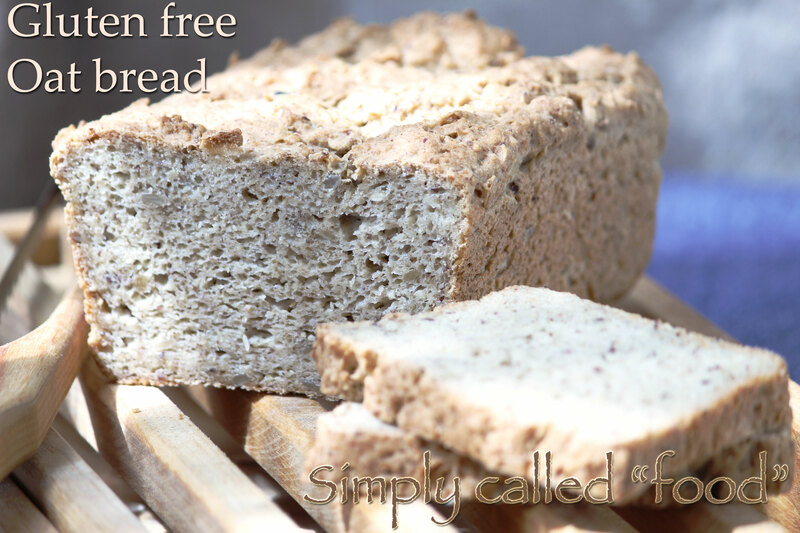 Gluten free oat bread | Simply called "Food"
I’m alway searching for a new gluten free bread recipe by mixing all types of flours. It is not as easy as making wheat bread. 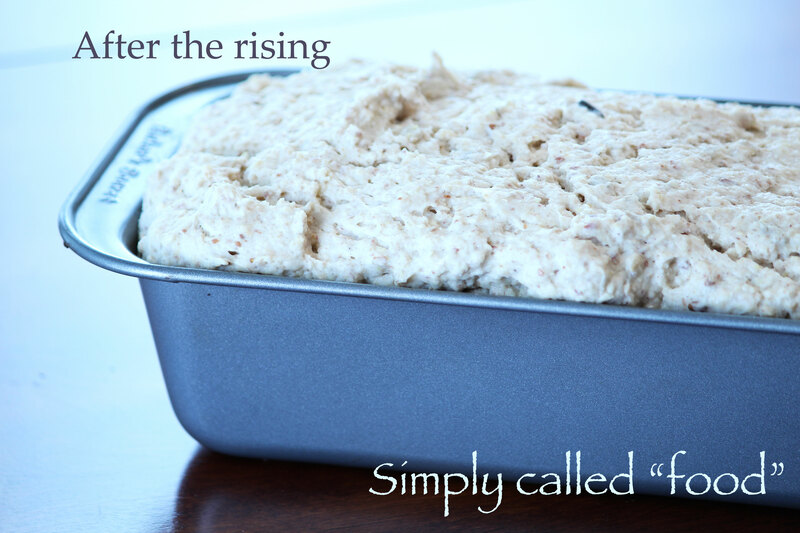 It doesn’t rise as much, it’s much more dry, heavy and so on. But this time I change a few things. I worked with oat flour, tapioca starch and potato starch. I think that you I to really understand the purpose and reactions between all the ingredients to be able to cook with them and I’m learning this more and more. I found a good blog that gives the information it’s “Gluten free gobsmacked” . As usual, I modified the recipe because I wanted it to be vegan, and I wanted to modify the flours just for fun. It turned out really well. It was soft and moist. It’s always better the day you make it even if it was still good the next day, but if you freeze it right away, I’m sure it can stay fresh and be as good. Making a gluten free bread doesn’t take long to prepare. You just let it rise once and the you put it in the oven. Mix in the water, the yeast and the agave syrup and set aside for 10 minutes. In a small bowl, put the flax seeds with 6 tbsp. (90ml) of water and put aside for also 10 minutes. In a medium bowl, combine the oat flour, the rice flour, the sorghum flour, the potato starch, the tapioca starch the xanthan gum, the sugar, the sunflower seeds and the salt. Add in the water and the flax seeds. Mix it for about 5 minutes. 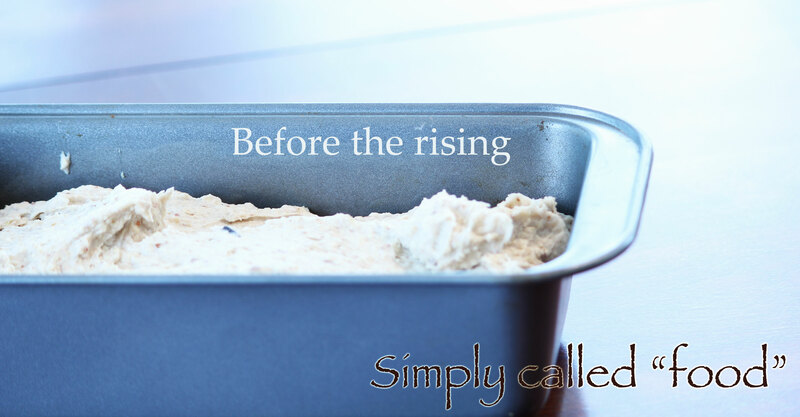 Put the dough in a 9”x4” greased bread pan and let it rise for about an hour. I usually put it in the microwave with a cup of hot water to have some humidity. When it has doubled the size, put it in the oven for 50-55 minutes. When you take it out of the oven, let it cool for 5 minutes before you transfer it on a wired rack to continue the cooling. Tags: Bread, Food, Gluten free, Oat flour, Recipe, Sorghum flour, Vegan, Vegetarian. Bookmark the permalink.